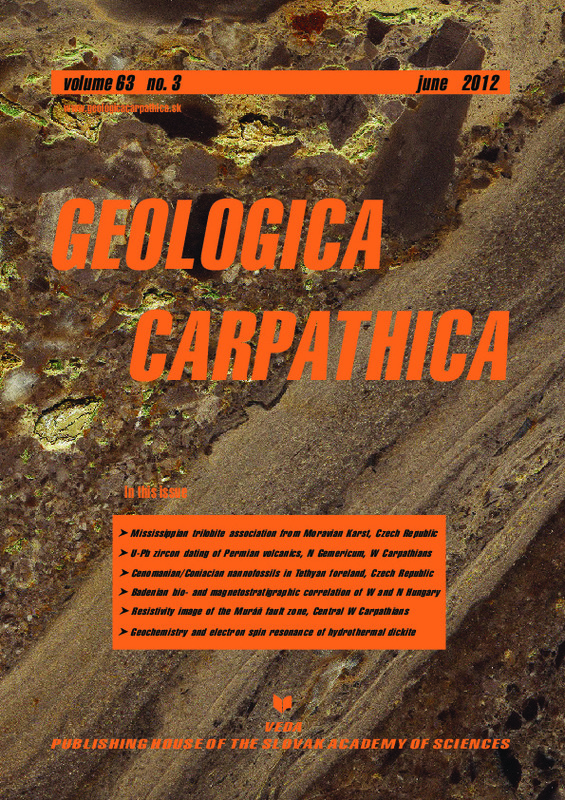 Abstract: Lithological, magnetostratigraphic and paleontological (nannoplankton, foraminifers, molluscs) studies were carried out on the Badenian successions of boreholes Sopron-89, Nagylózs-1 and Sata-75 in Hungary. The correlations with the ATNTS2004 scale show that the Badenian sedimentation began during Chron C5Br thus the earliest Badenian deposits are missing in the sections. The first occurrence of Orbulina suturalis Brönnimann has been observed in Subchron C5Bn.1r, at 14.9 Ma. Although it is older than the interpolated age of 14.74 Ma in Chron C5ADr in the ATNTS2004, it is consistent with the age of 15.1 Ma obtained from recent calibration of planktonic foraminiferal bioevents. The base of the Bulimina-Bolivina Zone has been determined at 13.7 Ma in Chron C5ABr, and the Badenian/Sarmatian boundary is recorded within Chron C5AAn, at 13.15 Ma.